NYC drummer/composer/educator LaFrae Sci delivers a complete introduction to the parts of a basic drum kit. The course starts with how to create the sounds of the drumkit using just one’s own body, and progresses from high level to in-depth strategies for playing the kit. A fun starter course on the drum kit great for all ages. You once wanted to play drums but your parents didn’t let you have a drum set at home? And now maybe you feel you have no rhythm? Don’t worry, in this video, Lafrae Sci shows that everyone can be a drummer and it’s always a good time to get started! 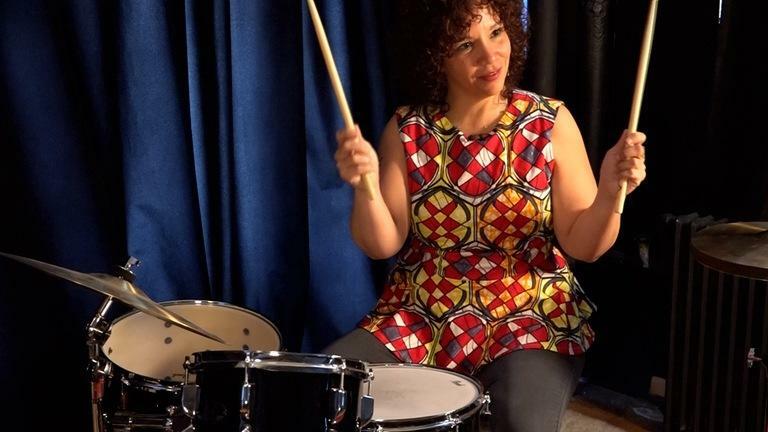 In addition to being a founding teaching member of the Willie Mae Rock Camp for Girls and a faculty member of the Middle School Jazz Academy at Jazz at Lincoln Center, LaFrae has toured, recorded and worked with a myriad of Jazz, Blues, Pop, Rock, world music and Hip-hop artists. Enroll to receive immediate, lifetime access to this 65-minute video-based course. This course was recorded on May 2018 at the Lessonface studio in the West Village, NYC.